Multiple birthing positions: In addition to the feet in stirrups position, NOELLE’s fully articulating body allows for alternative birthing positions like hands and knees. 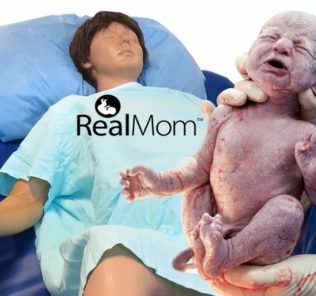 Realistic fetal palpation: NOELLE’s new palpation module includes an amniotic sac creating a natural and realistic feel when practicing palpation exercises. Pelvic landmarks: Anatomic landmarks include bilateral ischial spines, coccyx and pubic symphysis. Contraction stomach: NOELLE’s new contraction abdominal cover allows palpation of real time contractions during a scenario. The cover gets firm as the contraction peaks. Precision delivery system: NOELLE’s proven delivery mechanism has been refined to create an even more natural and lifelike birthing descent. 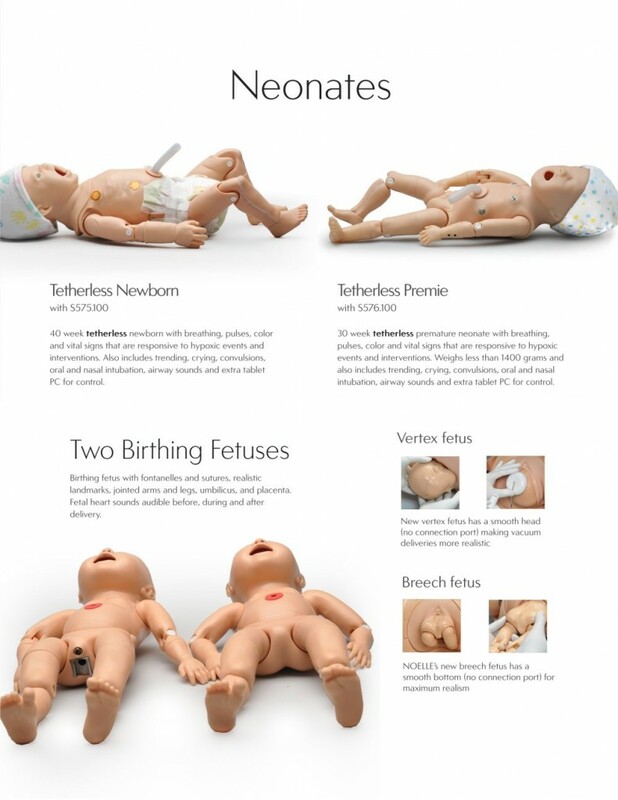 NOELLE’s fetus rotates and moves down the birth canal in response to commands from a wireless tablet PC; it also dips and rises as it traverses the natural sculpted pelvic opening. Practice C-Sections using real surgical instruments: Multi-layer abdominal wall with skin, subcutaneous tissue, fascia, muscle, and peritoneum for maximum realism. Abdominal inserts have simulated blood incorporated into the subcutaneous layer. Use real surgical instruments for incision, dissection, and suturing. Episiotomy repair: NOELLE’s episiotomy repair inserts simulate human tissue that can be sutured repeatedly. Inserts have been redesigned for maximum realism, in both look and feel. Visit the Noelle webpage at Gaumard to learn more!